A stent being inserted into a clogged artery due to Atherosclerosis. 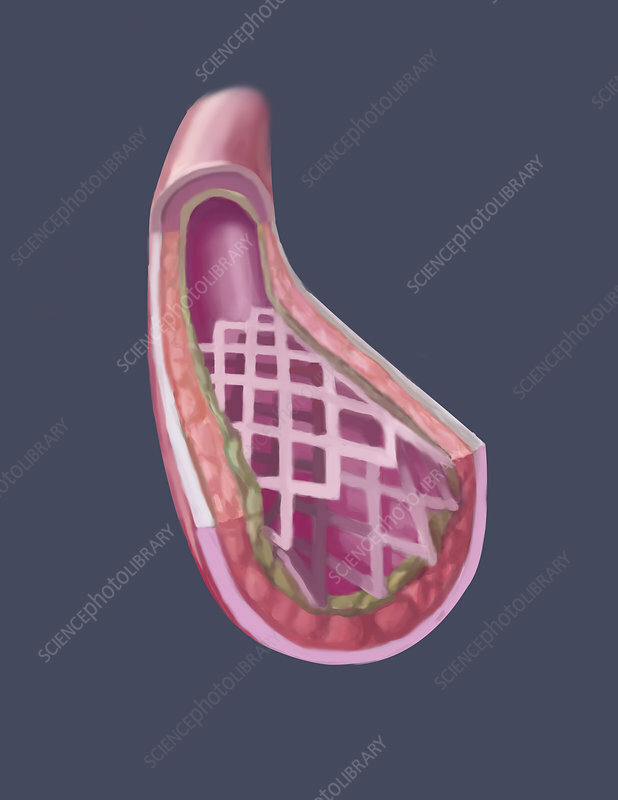 A mesh tube is inserted into a particular artery to counteract flow restrictions. The most common stents are placed during an angioplasty in coronary arteries.